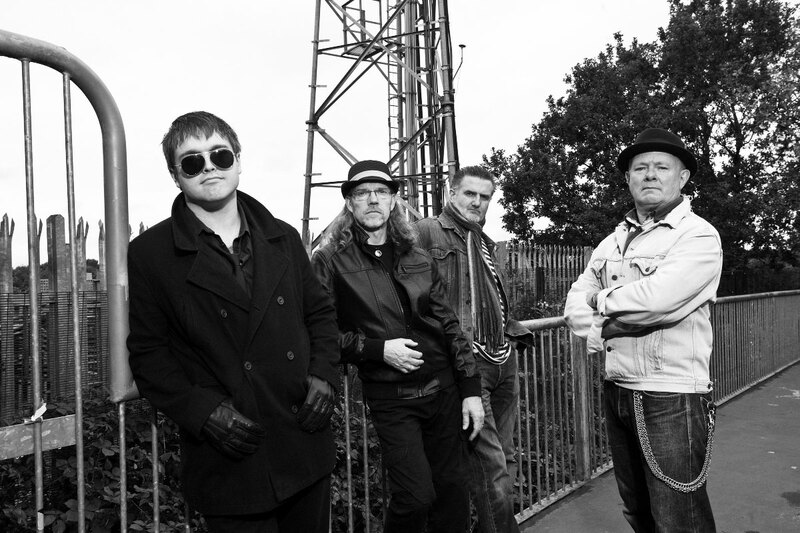 The Voodoo Sheiks will be headlining The Half Moon, Putney on the 28th July 2019 and ‘The Wilbur Project’ will be special guests. This is a double header not to be missed! Tickets are £10 in advance available by clicking on the link below. 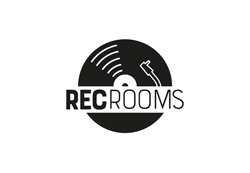 The Voodoo Sheiks will be at The Rec Rooms, Horsham on the 15th November 2019 and ‘The Mike Ross Band’ will also be performing. Another double header not to be missed! Tickets are £5 in advance available by clicking on the link below. 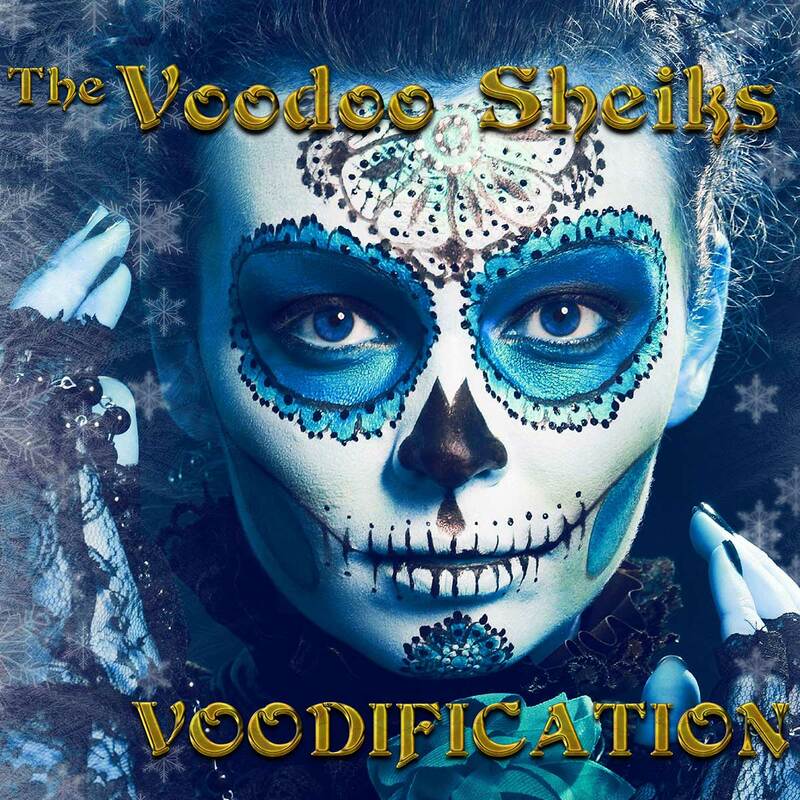 The Voodoo Sheiks’ brand new album contains 12 original songs guaranteed to provide all of your aural ‘five-a-day’. 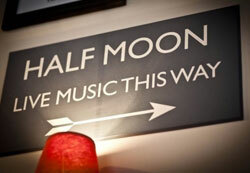 Rhythm, Blues, Rock, Roll and a pinch of Soul! Buy the new album for £10 plus P&P. No ‘second album syndrome’ with this offering. 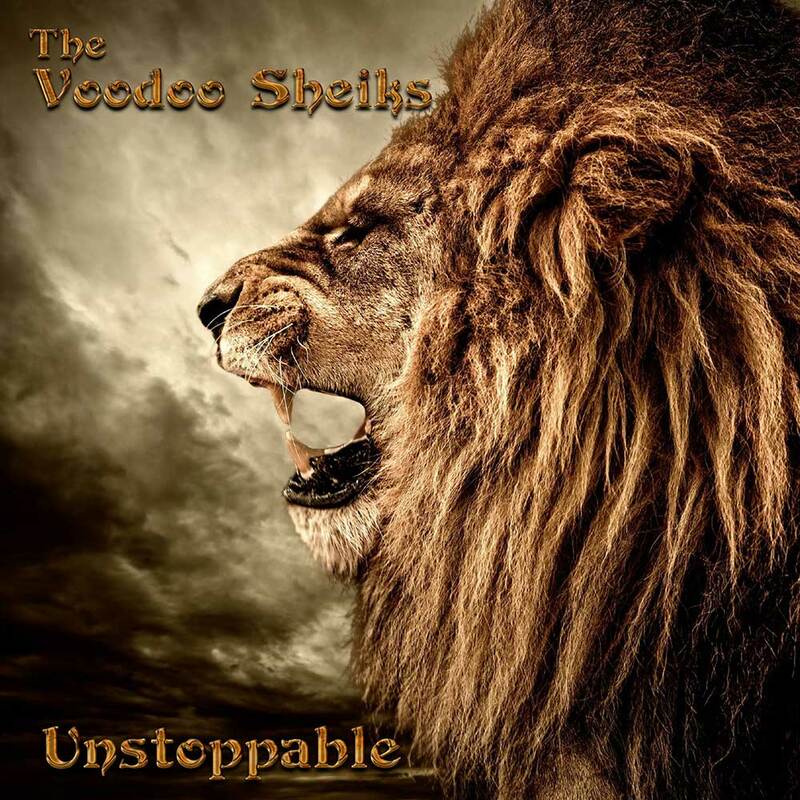 Rhythm & Blues as only The Voodoo Sheiks know how. Buy Voodification for £10 plus P&P. 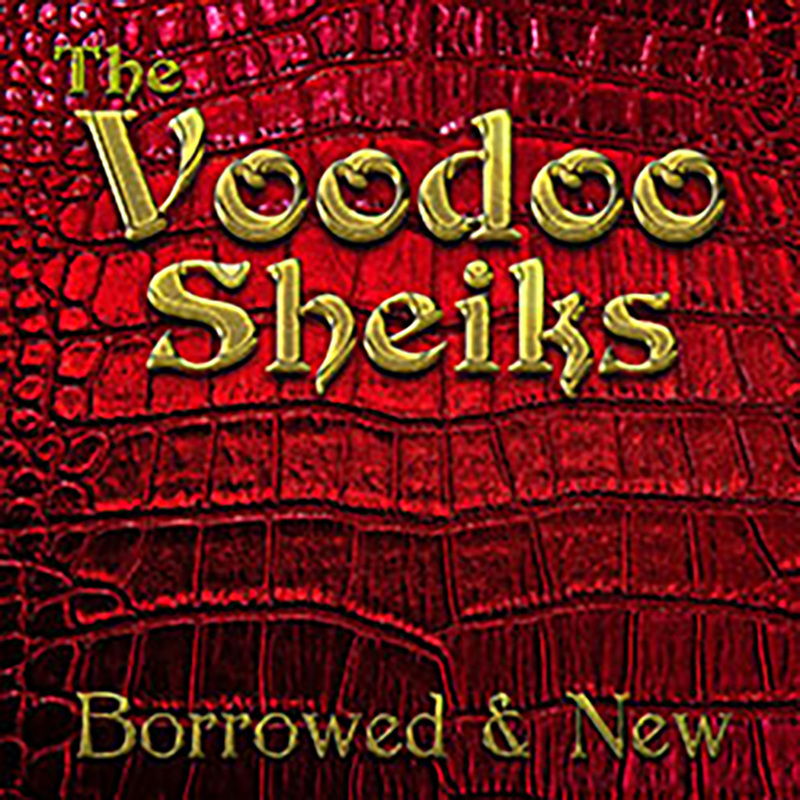 Debut studio album recorded in 2014 captures the essence of The Voodoo Sheiks’ live performances. Buy Borrowed & New for £10 plus P&P. 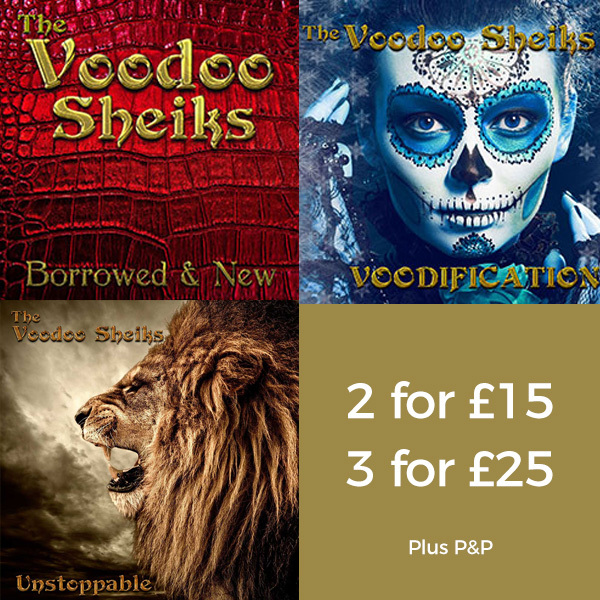 Own all of The Voodoo Sheiks albums for £25 plus P&P or choose two for the special price of £15 plus P&P.